High impress low stress baking at its best! 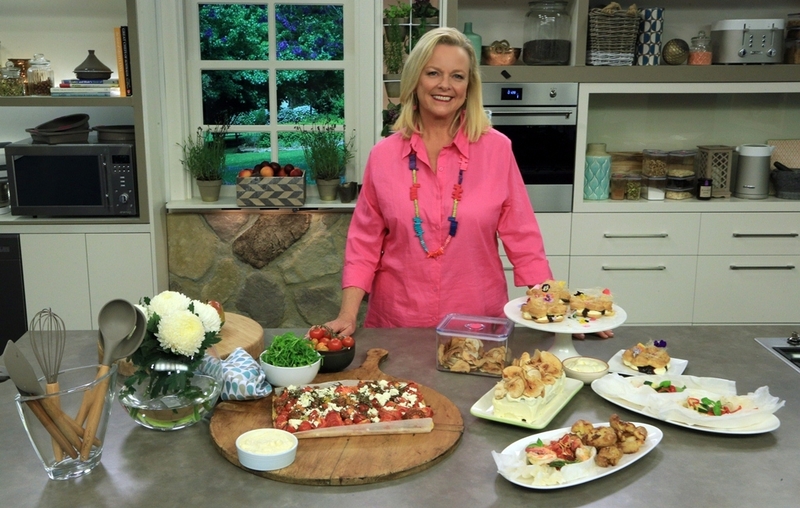 With her characteristic trademark style of high impress/low stress, Lyndey Milan proves that summer baking can be fun, simple and yet delectably impressive on the exciting Lyndey Milan’s Summer Baking Secrets premiering on Channel 7 at 12 noon on Valentine’s Day, February 14th. Over six delicious weeks, Summer Baking Secrets is packed with mouth-watering, show-stopping baked goods that look superb, yet are easily re-created by home cooks. Summer Baking Secret recipes reflect the brightness and joy of the Australian summer. Lyndey comes armed too with a bundle of time-saving tips, baking secrets, and personal insights. To coincide with Summer Baking Secrets, Lyndey will release her first-ever bakeware range, the culmination of 30 year’s experience and a two-year collaboration with Margaret Butler, founder of Anasazi. The competitively priced Lyndey Milan Bakeware Range features in the series. It includes modern cream ceramic-coated tinware, new-age silicone bakeware,clever double seal storage containers with Lyndey’s signature hot-pink accents, baking accessories, innovative kitchen utensils and food preparation products. Like the TV series, the collection is set to bring the best out of every home cook and ensure they too become home cook heroes. Like Lyndey, the collection is warm and inviting, with each piece featuring its own bespoke recipe to provide inspiration and confidence. Every piece is dishwasher safe, the silicone non-stick and the utensils have eco friendly, sustainably sourced bamboo handles. Lyndey’s Bake Range is now available to purchase in store from Blueprint Retail in Potts Point! They are located at 46A Macleay St, Potts Point NSW 2011 and are open every day from 10:00-6:00pm (except Sundays – close at 5:00pm).